We have apartments from DU all the way up to Capital Hill. We have Studio apartments to Penthouses. We have what you are looking for. 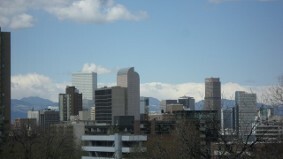 Our apartments are close to restaurants, shopping, and the light rail. Do you want off street parking, free internet, laundry facilities, how about a pool or a patio to enjoy the wonderful Denver weather? Look no further!!!!! We have onsite Managers at each of our buildings and they are available to answer any of your questions. We are a family owned and operated business and we are here for you.